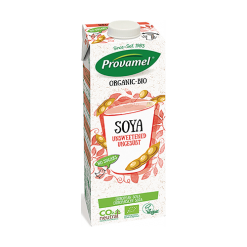 Organic soya milk made only from organic soya beans. This organic soya milk is blended with water. As it is unsweetened, it is ideal in drinks, sauces or desserts. Ingredients: Organic hulled soya beans.